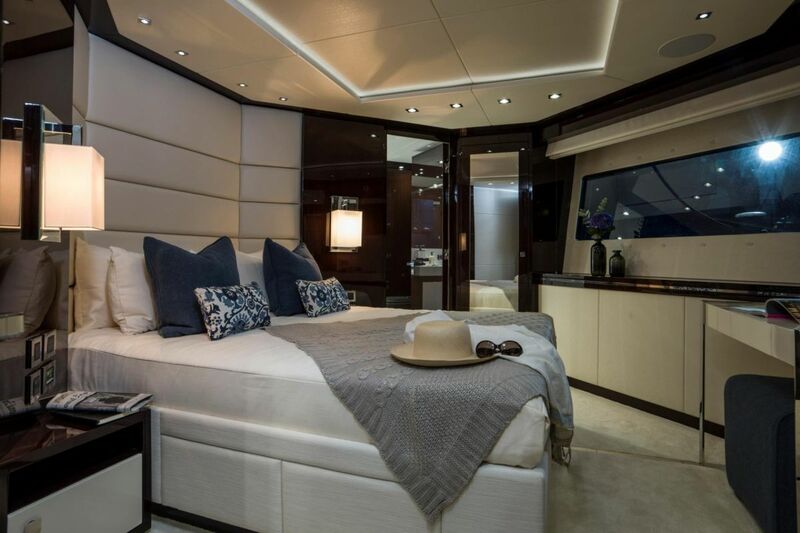 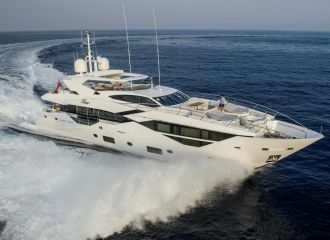 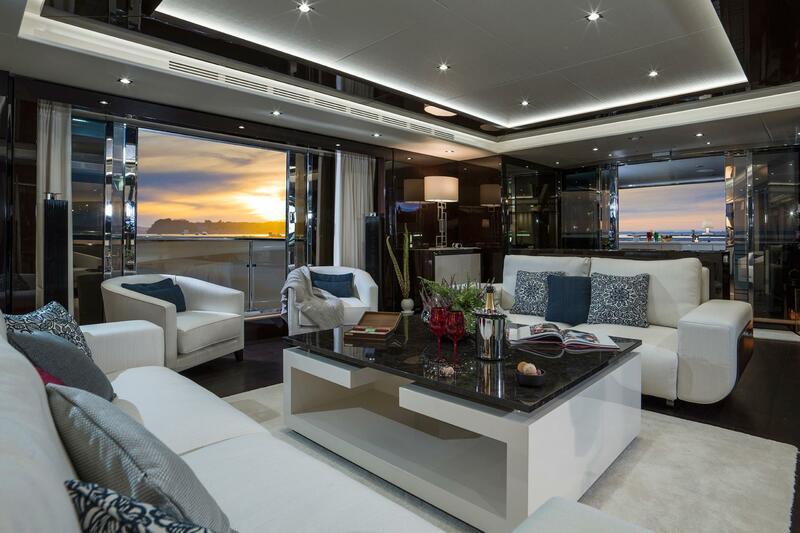 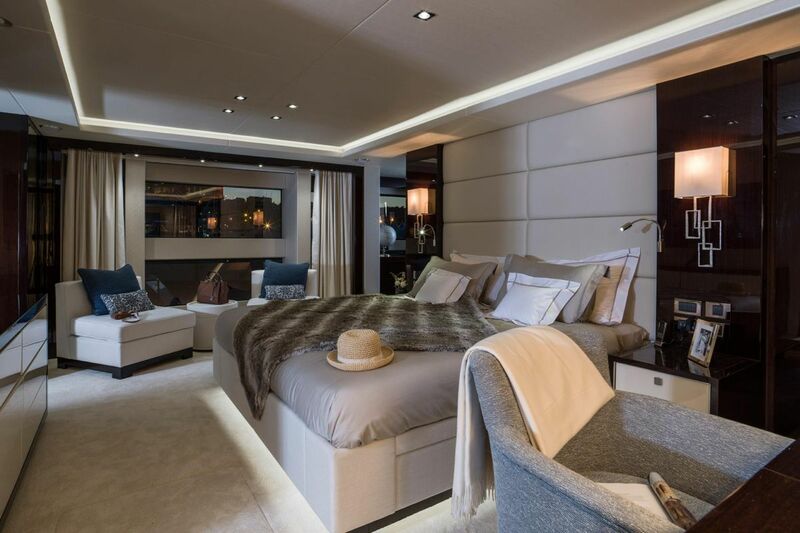 This Sunseeker 116 yacht for charter has a great open-plan layout with expansive outside living areas. 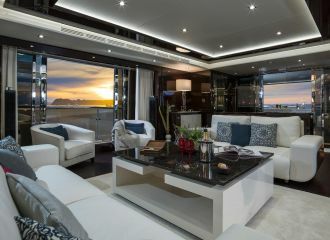 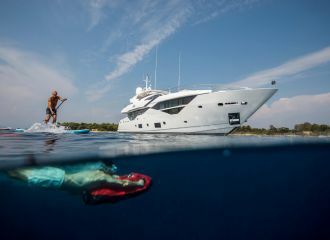 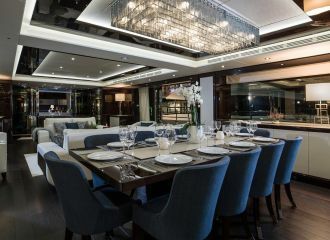 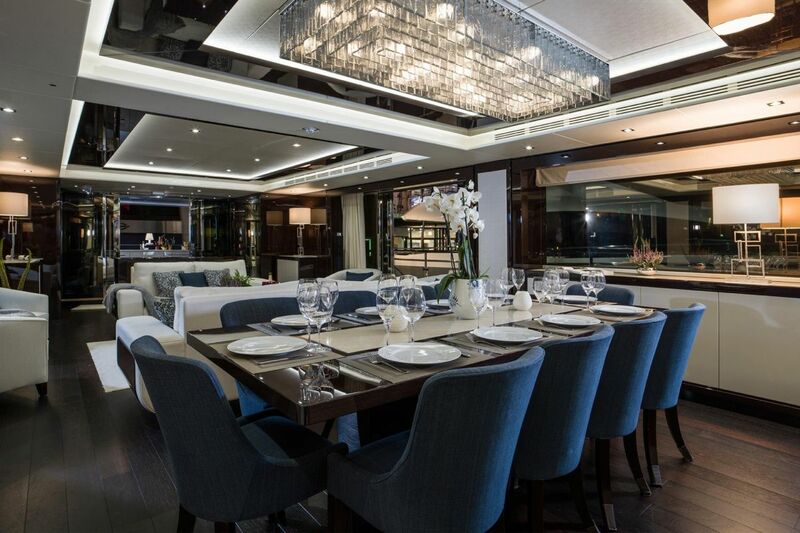 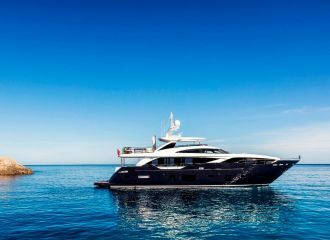 The foredeck is particularly enjoyable with an intimate dining area, a large sunbed and a jacuzzi. 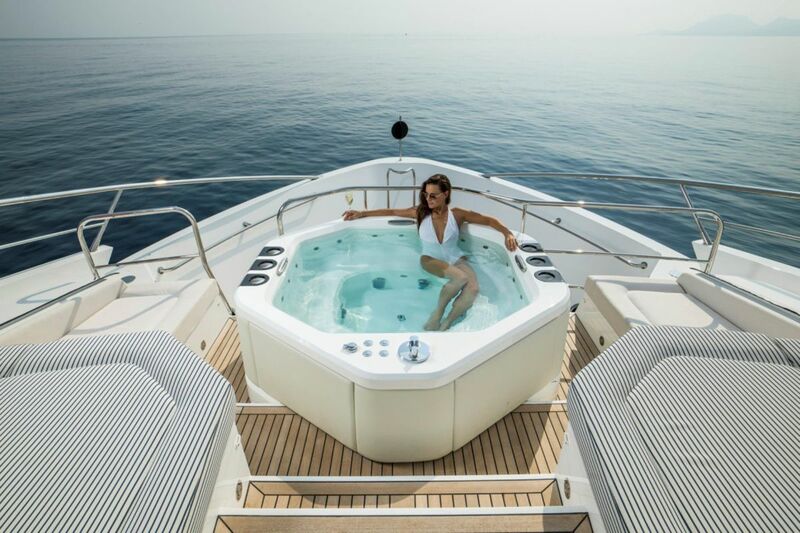 The spacious flybridge is the perfect entertainment spot with a retractable sunroof, a large dining area and another jacuzzi. 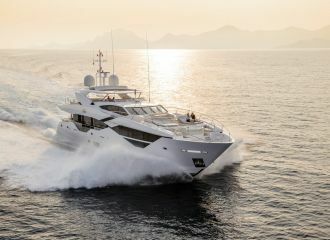 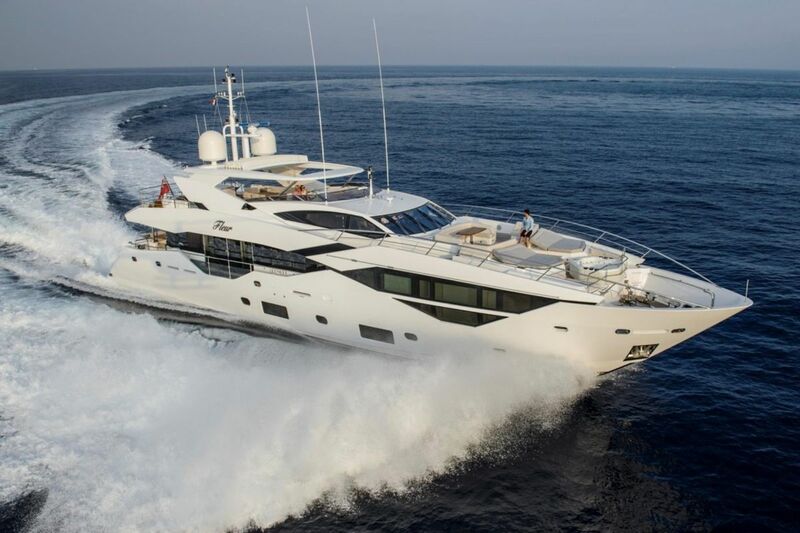 This Sunseeker 116 can accommodate up to 10 guests in 5 well-appointed cabins: 3 double and 2 convertible which can be either set up as double or twin cabin. 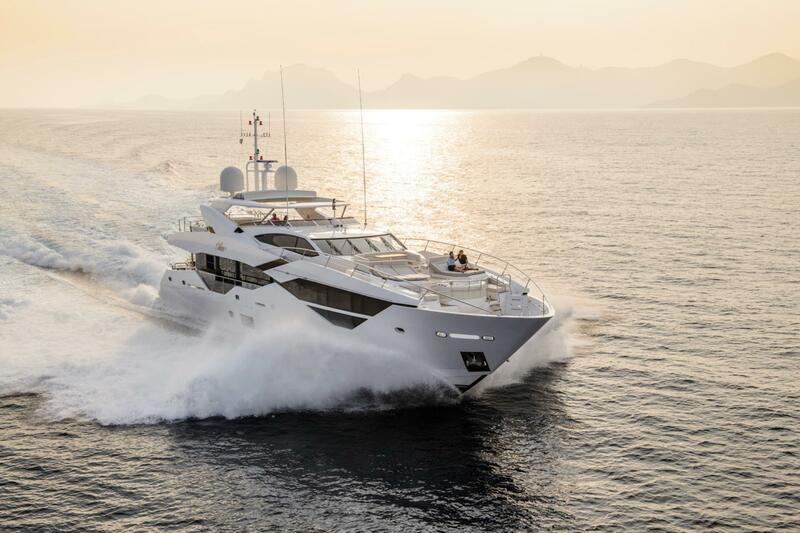 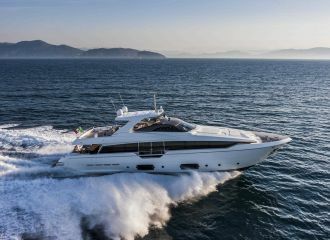 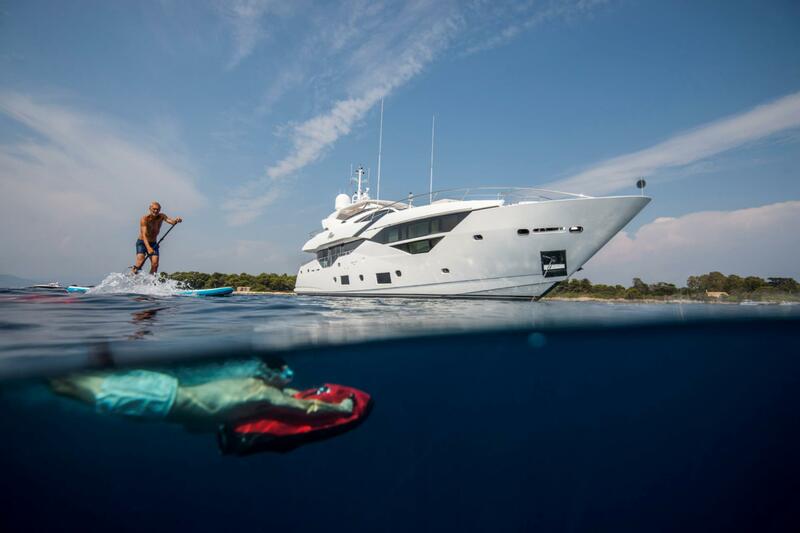 Whether you want to cruise around the French Riviera during your south of France yacht rental or or to stunning Corsica and Sardinia, this Sunseeker 116 guarantees absolute comfort onboard. 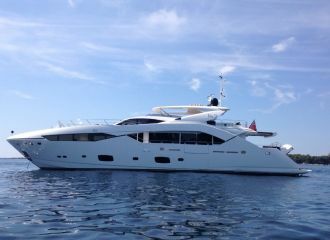 total 20000	€ Excluding VAT and APA ?